How fun is this engagement session? 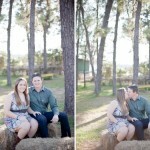 Darren works at a local farm, so he & Amber thought it would be the perfect place for their engagement photos. Vintage tractors, vintage truck, and some beautiful cabbage fields. What more could you ask for? © 2019 Orlando Wedding-Newborn Photographer | Classic Family Photography|ProPhoto4 by NetRivet, Inc.